On-the-job accidents happen often and in all kinds of work situations, including offices and construction sites. Most Alaska employers anticipate the possibility of accidents by providing workers’ compensation insurance to protect their employees. When Should You Hire a Workers' Compensation Attorney? In the event of a workplace injury, many people assume that securing workers’ compensation will be relatively straightforward. They like and trust their employer and think that navigating their workers’ compensation claim will be easy. Unfortunately, the true power to grant or deny benefits is in the hands of the insurance company, not the employer or employee. Sometimes people are quite satisfied with the outcome of their workers’ compensation claim. Other times, they may need legal representation to help them navigate the red tape, put pressure on the insurance company, and get the benefits they deserve. 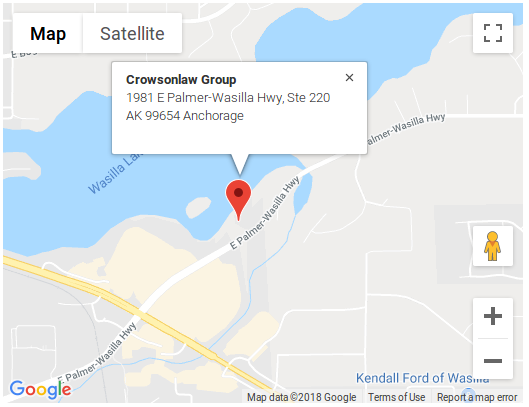 If you’ve been injured on the job in Alaska, Crowson Law Group is here for you. With our Alaska workers' compensation lawyers on your side, you’ll be able to focus on recovering from your injuries while we work on obtaining compensation for your medical bills and lost wages. With offices in Anchorage and Wasilla, we proudly serve all of Alaska. We invite you to call or contact us online to schedule a free, confidential consultation to get your questions answered. Some workers’ compensation claims may overlap with other personal injury categories, including toxic exposure or railroad accidents. 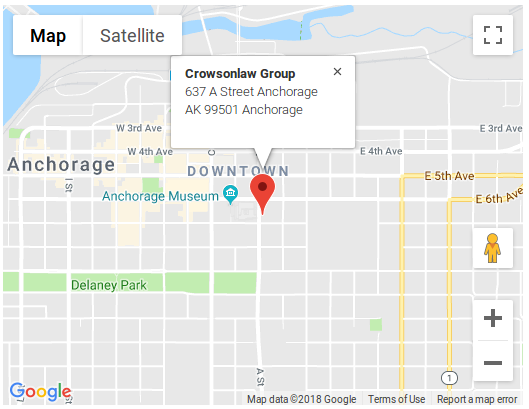 If you or a loved one has been injured — or if you have lost a loved one — please contact Crowson Law Group online or by email, or at 855-677-9393 (toll free), 907-677-9393 (Anchorage) or 907-519-0193 (Wasilla) to speak with our Wasilla or Anchorage workers' compensation lawyers. Our phone lines are open 24 hours a day, seven days a week. We are here to help.